You’ve been hearing a lot of hype about this Project Glass thing lately, but you don’t really know what it is. Whenever you search the web, you just get a short editorial post trying to have a unique take on the subject, but nobody will tell it to you straight. Well, my friends, that ends here. This post is going to focus on the nitty gritty of Project Glass and its Google Glasses, telling you how Google is moving into the future, and how it is integrating Google+ further into your life. Project Glass – What Kind Of Information Do We Have? 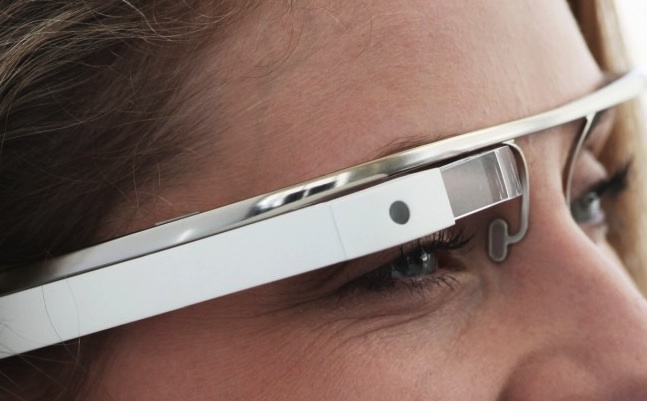 Google has created a Google+ Page for Project Glass, but there is only one post on it, and this post contains a video. So, basically, we know only what we can pick up from the video. I’ve gone through and tried to make a good list of what these new augmented reality glasses will be able to do, barring any setbacks to production, when they come out. (Don’t ask me when they’ll come out – there is absolutely no indication whatsoever at this point.) So, without further ado, let’s get down to business. I noticed that when the glasses were first turned on, an option to look at notifications for the day was given. This could be helpful for orienting yourself in the morning and making sure that you don’t miss any important appointments! Like most notification services, five or ten minute before an event, you will be notified – the program being put into the Project Glass glasses seems to be no different in the regard that it will remind you of something before the event starts. Useful, but not exactly revolutionary, barring the fact that the notification comes up in your field of vision. When you receive a text message, it will show up on your glasses – I’m assuming that you connect your smartphone to the device via Bluetooth technology. There is a specific example of SMS in the video, as well as video chat, so we know that both of these will for sure be features when Project Glass becomes a reality. I’m assuming calling capabilities, because it would be ridiculous to have video chatting but not calling. The GPS integrated into the Google Glasses may be one of the features that could potentially be revolutionary, due to the unlimited possibilities. Google Maps, in the video, helps the man wearing the glasses find an alternate walking route to a certain bookstore when the glasses see a subway station and recognize that the subways are closed by giving him unobtrusive directions. But, this isn’t really anything new – why am I calling it revolutionary? The GPS itself isn’t awesome, but the idea of integrating Google+ into real life is, and this would function via the GPS system. In the video, when the man goes to the Mud Coffee van, he is able to check-in to the location and share that on his circles. If you’re observant, you’ll also see the option to +1 something – this is essentially SOCIAL MEDIA IN REAL LIFE. This would be revolutionary – being able to see how many people have plus one-d something in real life? Mind-blowing, honestly. I’m sure that there will be even more awesome features developed by the time Project Glass becomes a reality, and we all know that Google doesn’t show all of its cards very early, so chances are that there are a ton of other features that have not yet been revealed. These glasses are not just for Google to get hyperlocal tracking information, but a way to help them get a greater usage of Google Plus. In the promo video, everything that occurred was through one of the Google+ branded properties such as Google Music, Google Hangouts, Google Latitude, and Google+ identities. The other interesting thing about the video was that the entire product seemed to be tightly integrated – much tighter than that of Android devices. This seems to hint at Google’s development and implementation of a personal assistant, on a scale of Siri-like quality. “Big G” is expanding in every direction, even imagination is not a limit from the guys in Mountain View. I recently read that they are planning to harvest rare materials from asteroids.